All I want is green grass, trees with green buds, and flowers with big green leaves. Green, green, and more green. Which means that I was absolutely delighted when I came home from rotation tonight and seeing that my mom was in the process of whipping up a big pot of BRIGHT GREEN split pea soup… which she proceeded to inform me was also vegan (yay for Vegetarianism 3.0)! It all starts with a large stock pot filled with one pound of green split peas, chopped onion, celery, garlic powder, oregano, pepper, bay leaf, and water. Just toss in some potatoes cut into thick medallions. And simmer the veggies and split peas uncovered for 1½ hours. After the soup has simmered, add in a whole bunch of carrots. 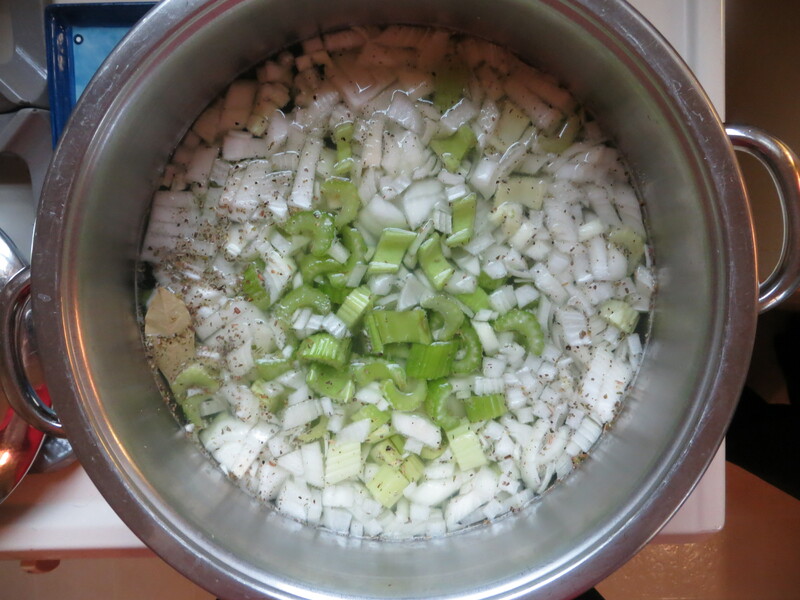 Continue to simmer the soup for 2-2½ hours until the soup becomes thick and perfectly green! Hello, split pea soup! All that’s left is to stir in 2-3 tablespoons of chopped, fresh dill. Green, fresh, and a great complement to the earthy split peas. Spring fever cured… at least for now! In a large soup pot, add in split peas, onion, celery, potatoes, garlic powder, dried oregano, bay leaf, salt, pepper, and water. Bring to a boil, reduce to a simmer, and cook uncovered for 1½ hours. Add in carrots, stir to combine, and continue to simmer uncovered for 2-2½ hours until the soup becomes thick and green. Stir in the fresh dill and serve alongside crusty bread. ← Happy Greek Independence Day!